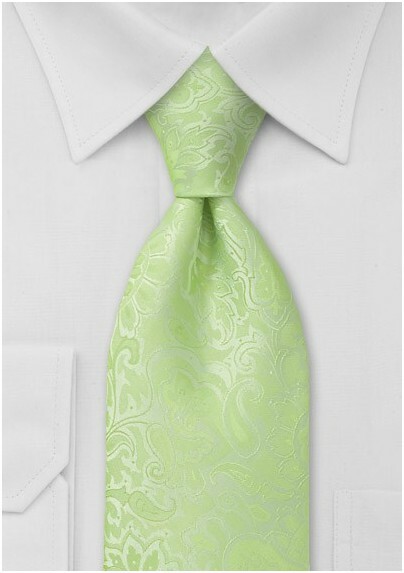 Get modern and innovative with unexpected color palettes and playful patterns this season starting with this handsome and dapper paisley patterned necktie in light green. 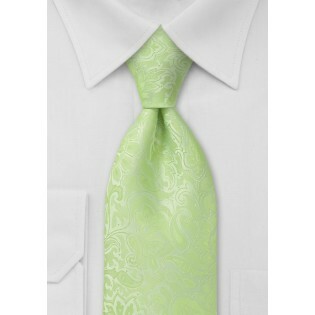 The light green hue is refreshingly charming and instantly updates a suit or sports coats. For a spot on summer look, we recommend teaming this tie with a bright white dress shirt and a lightweight khaki suit. This tie is made from a durable, man made microfiber that resists stains and wrinkles. This tie is designed by the reputable Puccini Design House.